Only valid when purchasing a full price child's ticket. 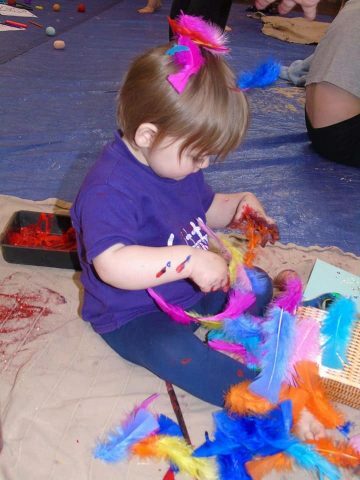 Little Learners Northumberland are excited to announce we’ll be coming to Willowburn Sports & Leisure Centre, Alnwick on 18th April for an Egg-citing Easter Messy Play event! There’ll be a variety of themed wet & dry trays as well as mini egg hunt,crafts to take home, and our usual fine motor stations & Play-Doh too. Little Learners is aimed for children aged 5 months- 5 years but at our Events we like to invite older siblings along for some family fun! Please make sure you and your child are wearing old clothes or clothes you don’t mind getting messy in. Some parents like to strip their child down to their vests. Little Learners takes no responsibility for clothes which are stained, marked or damaged. Make sure you remember to bring a change of clothes for your Little Learner (and you! ), a towel as we provide warm soapy water to get washed in at the end. Parents/Carers are solely responsible for their child/children at all times during Little Learners classes; for example, although care is taken to ensure materials used are non-toxic, parents/carers should take sensible precautions to ensure that materials aren’t ingested. 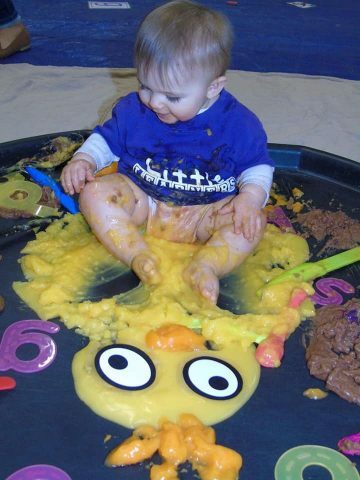 Please be aware that some activities involve materials which can become slippery so extra care must be taken. Don’t forget to like our Facebook page to keep updated with all upcoming events.